Next week will bring another Tuesday, and now we know what gifts T-Mobile is planning to offer as part of T-Mobile Tuesdays. For the May 29th edition of T-Mobile Tuesdays, T-Mo customers can get $25 to Restaurant.com, a fee-free money transfer from Western Union, and a free one-night disc rental from Redbox. 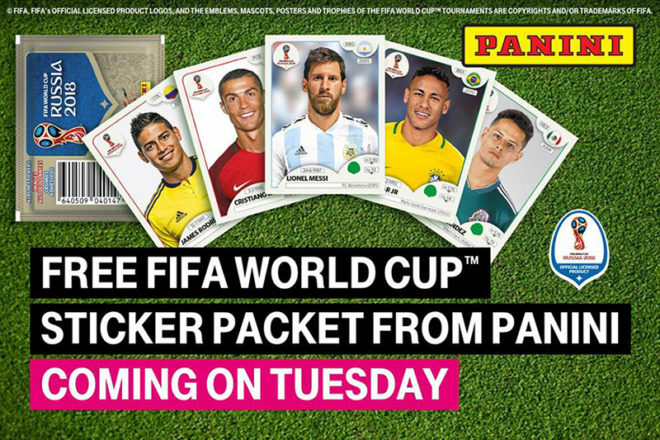 Also coming next week is a free FIFA World Cup sticker packet from Panini and a $50 Amazon.com gift card per night from HotelStorm. Rounding out next week’s gifts is a 60-day free trial for the Gold’s Amp app, which offers workouts at low, medium, and high intensity levels that’ve been created by Gold’s Gym experts. The app also offers thousands of DJ mixes across a number of genres. New workout content and DJ mixes are added weekly. The Gold’s Amp app is available on Android and iOS. A subscription normally costs $9.99 per month. There is no sweepstakes next week. Why complain about Free? I am going to actually use the Western Union and Redbox. Honestly, given that it’s free stuff that’s meant to serve as marketing to get your foot in the door with various companies, I feel like it’s okay. The redbox coupons are nice, and even got me in the habit of using them enough where I paid for a Blu-Ray rental one day even without a coupon. if they gave out great stuff for free all the time, both T-mobile and their partners would just lose money. People use WU? I thought only scammers used it. That’s what is wrong with this world. Free stuff is available, people complain about it. Just because they and whomever lil ppl they know don’t use or do those freebies, they want to complain and cry about it. There are millions of other ppl that will and can really use it. With ppl like that are the ones that make it worse for everyone else. They cry and moan, then that is seen, then all is taken away. Sheesh,. Them all need to relax and shut up. Just because they don’t want it or use it. They need to just shut up.